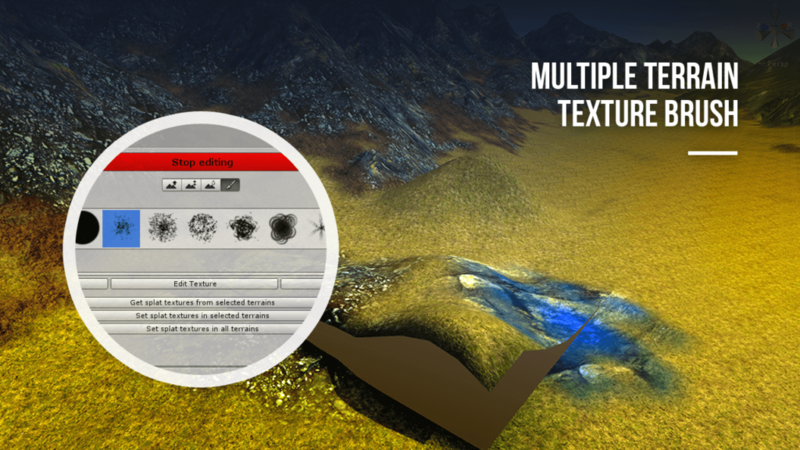 Multiple Terrain Brush is an editor tool with brushes for heightmaps and textures that work on multiple terrains. 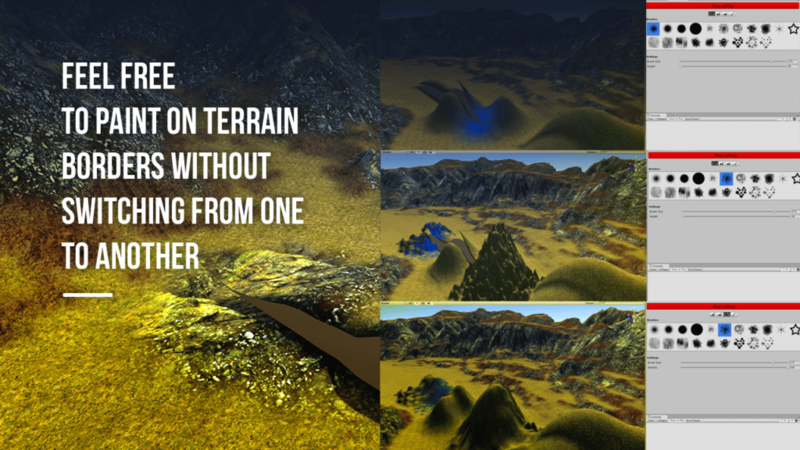 You can easily paint heightmap and textures, without switching from terrain to terrain. 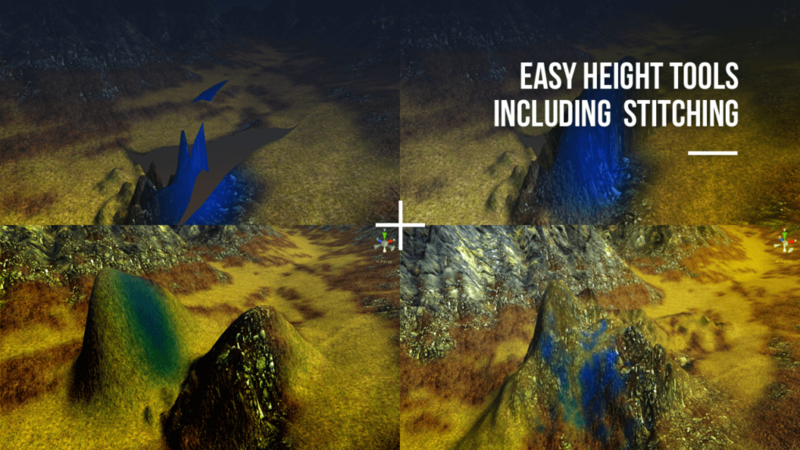 With multiple terrain burshes you can avoid terrain holes in borders during height map painting and editing. Brushes also contain smooth which is stitching and it's removing terrain holes.